At St Mary and St Thomas’ CE Primary School in St Helens, pupil wellbeing is at the heart of everything we do. Anti-bullying is not just a policy, it’s the cornerstone of all work in our school. Building on 13 years of work, we’ve been able to establish a solid service delivery team that provides a holistic support approach and close monitoring to identify issues early and provide differing levels of support, both in and out of school, as and when required. As an outstanding lead school within The Three Saints Academy trust, and lead school within the St Helens Teaching School Alliance, St Mary and St Thomas’ CE Primary School has a well-established safeguarding and wellbeing team, with anti-bullying work embedded in everyday practice of the school. As Director of Wellbeing, Linda Smith is responsible for the management of all child protection, safeguarding, family support and interventions as well as the assessment and implementation of behaviour management, therapeutic interventions and extended services provision and community outreach. I have spent the last 13 years building and sculpting the Wellbeing team into a full-service delivery team that includes a full time Family Support Worker, a full time level 3 Learning Support Assistant (LSA) and part time level 3 (LSA) Therapeutic Intervention Workers. The school is based in an area of high deprivation and faces significant social-economic issues. Children are very vulnerable and the impact these issues have on the families and their wellbeing are significant. There are a vast array of issues that our staff are skilled in tackling and support is provided through a wide range of academic and therapeutic interventions. All the team are Mental Health First Aiders and trained to provide early intervention support using some of the following skills: playskills, Lego therapy, talking through drawing and listening, solution-focused brief therapy (SFBT) and cognitive behavioural therapy (CBT) skills, mindfulness, bereavement, anger management, relationships and friendships, and social skills to name a few. This allows our team to be confident and skilled in supporting the many issues some of our children and families face in their daily lives such as peer relationships, online safety issues, and to quote author Sue Palmer not forgetting the impact of “toxic childhood syndrome” due the pace of technology and our lives in which we all live. Children taking part in the Altru Drama workshop. 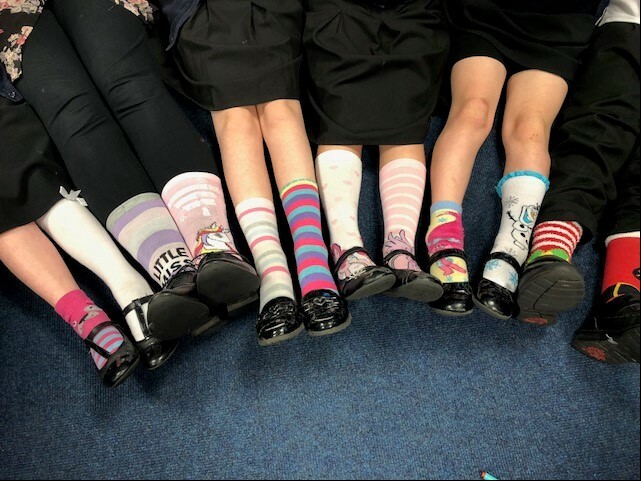 We have been fully immersed in the Anti-Bullying Alliance Anti-Bullying Week campaign, with the anti-bullying policy the cornerstone of all work done at the school. 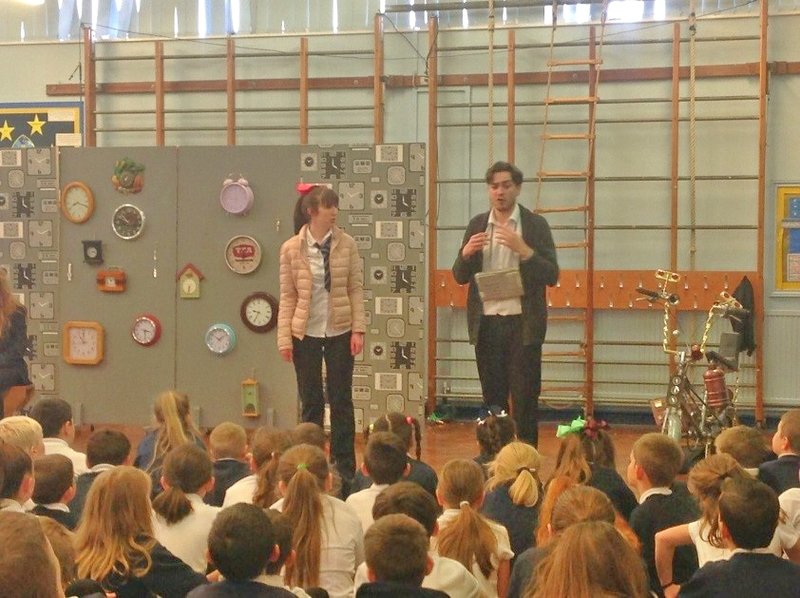 During Anti-Bullying Week, we run annual workshops and assemblies and utilise our resident drama company, Altru Drama, in whole school performances and class workshops focussing on the Anti Bullying Alliance’s Yearly themes. This year’s performance, based on the theme Choose Respect, is titled “Road to Respect” showcasing the importance of learning to respect each-others individuality. Anti-Bullying Week is an annual week long campaign, run by the Anti-Bullying Alliance. It aims to raise awareness of bullying of children and young people in schools and other settings, and to highlight ways of tackling and preventing it. We’ve implemented numerous procedures over the years to tackle bullying. The most successful being the class level help boxes, where pupils can post notes in a class box requesting support if they feel unable to verbally express that need. These boxes are checked throughout the day by the Wellbeing Companions. These are children from each class selected by their peers who they feel are suitable candidates to help and signpost them to further support. At school level, we have Wellbeing Ambassadors and Activity Leaders. These are leadership roles pupils apply for and are trained in. We also have systems to support our pupils when out of school hours via an online ‘Whisper’ button available on our school website. This provides a direct email link to the Wellbeing Office where pupils can email messages that are checked on a daily basis by the family support worker. This helps reduce anxieties about issues by giving the children the opportunity to get worries ‘out of their head’ at the time they are worried and knowing they will be addressed as soon as they get to school the following morning. Stay tuned for the next instalment: ‘Bringing the school alliance All Together’.